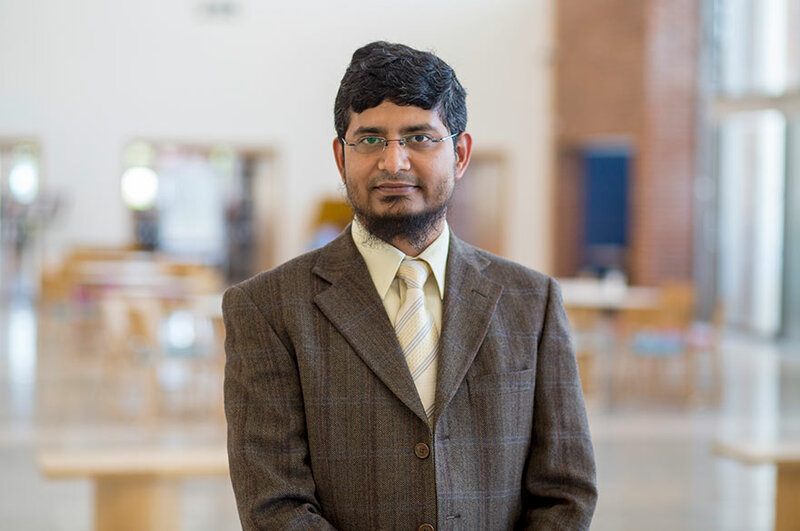 Dr Mufti Mahmud is a (Senior) Lecturer of Computing and Technology at the School of Science and Technology. Dr Mahmud leads the MSc in Data Analytics for Business and the Data Analytics strand of the Online MBA courses. Dr Mahmud is a member of the NTU Distance Learning Governance, Operation and Steering committee as well as the International Mobility committee. Dr Mahmud is also the local organising committee chair of the IEEE World Congress on Computational Intelligence (WCCI) 2020 to be held in Glasgow, UK from 19 to 24 July 2020. Developing Windows Applications using Microsoft .NET Platform (C#), Developing Web Applications using Microsoft .NET Platform (ASP.NET & C#), and Web Database Programming using SQL Server 2000 at professional level. Dr. Mahmud’s research vision is to contribute towards a secure, smart, healthy and better world to live in. In today's digitized world, converting the ever-expanding amount of raw data to smart data, and building predictive, secure and adaptive systems aiming personalized services are essential and challenging, which require cross-disciplinary and multi-stakeholder collaborations. Towards these goals, Dr. Mahmud conducts problem-driven `Brain Informatics' research where he works with problem domain experts to find multidisciplinary solutions to real-world problems. Dr. Mahmud’s research involves Computational-, Health- and Social- sciences, and uses Neuroscience, Healthcare, Applied Data Science, Computational Neuroscience, Big Data Analytics, Cyber Security, Machine Learning, Cloud Computing, and Software Engineering; and plans to develop secure computational tools to advance healthcare access in low-resource settings. For more details, please visit personal profile. Senior Postdoctoral Research Fellow at the NeuroChip Lab of Department of Biomedical Sciences, University of Padova, Padova, Italy from 03/2015 to 03/2018. Marie-Curie Research Fellow at the Theoretical Neurobiology & Neuroengineering Lab of Department of Biomedical Sciences, University of Antwerp, Antwerp, Belgium from 02/2013 to 01/2015. Postdoctoral Research Fellow at the NeuroChip Lab of Department of Human Anatomy & Physiology, University of Padova, Padova, Italy from 01/2011 to 01/2013. Assistant Professor at the Institute of Information Technology of Jahangirnagar University, Savar, Bangladesh from 09/2011 to 01/2016. Research Assistant at the NeuroChip Lab of Department of Human Anatomy & Physiology, University of Padova, Padova, Italy from 01/2008 till 12/2010. Staff Scientist at the Molecular Stamping S.r.l., Trento, Italy from 06/2007 till 01/2008. Lecturer of Computer Science & Engineering and Administrator of Microsoft IT Academy at the Daffodil International University, Dhaka, Bangladesh from 02/2006 till 10/2011. Lecturer of Computer Science & Engineering and .NET Curriculum Coordinator at the Prime University, Dhaka, Bangladesh from 03/2005 till 01/2006. Salisu W. Yahaya (Co-supervisor with Prof. A. Lotfi as main supervisor), topic: User-Centric Anomaly Detection in Activities of Daily Living. Perspective students may obtain detailed information on opportunities to carry out postgraduate research towards an MPhil / PhD from the NTU Doctoral School. Advanced Machine Learning for Biological Data Analysis: Recent research in Deep and Reinforcement learning, and their combination promise to revolutionize Artificial Intelligence. And, multimodal data from various application domains (e.g., Omics, Bioimaging, Medical Imaging, and [Brain/ Body]-Machine Interfaces) are piling up which require novel data intensive machine learning techniques. In this project we have been applying DL based methods to analyse data coming from different biological sources. Advanced Machine Learning for Crowd Analysis: This project aims in developing cutting-edge tools for multisource crowd data analysis to develop real-time automated transportation system for smart city applications. Distributed Biosignal Analysis Framework: With the rapidly growing brain data, scientists require automated and intelligent tools to infer meaningful conclusions from them which, for a normal desktop PC, is becoming increasingly difficult. This project aims to harness the powers of distributed and cloud computing for the job. Early Detection of Brain Network Dysfunction in Alzheimer’s Disease (AD) & Mild Cognitive Impairment (MCI): AD & MCI are characterized by altered brain network activity which are currently detected at a mature stage. In this project we aim to characterize a stable biomarker detectable at the disease onset to facilitate their early diagnosis and treatment. Sophisticated frequency based analyses, of in vivo LFP from genetically modified mouse models at different pathological stages, are applied to detect network dysfunctions. High-Resolution Brain-Chip Interfacing: This project aims to develop high resolution CMOS based neuronal probes to acquire neuronal signals at (sub-)cellular resolution (7.5-100 micron) across different brain structures. Neuroinformatics Tools for Extracellular Neural Signal Processing & Analysis: Automated analysis of multi-channel neural data has always been a huge challenge, especially when they are recorded in a low SNR setup. Under this umbrella project we develop novel tools for automated analysis of multi-channel brain signals. Neuroprosthetics & Rehabilitation Engineering: The aim of this project is to reduce rehabilitation costs and to provide independent mobility to the severely disabled through automatic and smart assistive devices controllable with bio-signals (e.g., EEG and EMG). These signals are mainly triggered by imagination, physical activities, and even just by looking at the way to follow. Also, fuzzy based controllers are optimized to operate with minimal numbers of channels. Secure Cyber-Physical Systems and Internet of Things: Rapid popularity of Internet of Things (IoT) and cloud computing permits neuroscientists to collect multilevel and multichannel healthcare data to better assess health conditions, diagnose diseases, and devise treatments. This project aims to ensure secure and reliable data communication between end-to-end devices supported by current IoT and cloud infrastructure through trust management as well as development of novel secure IoHT frameworks. Understanding Neural & Neuromuscular Behaviour through Modelling: To design appropriate therapy and realistic assistive devices for neurodegenerative disorders we need to understand in detail the neural transmission mechanisms. In this project, we develop detailed models of neural networks suitable for electroceutical therapy and neuromusclular junction mimicking the neurobiological phenomena. Wireless Sensor Network for Healthcare Application: With the rise of service automation, access to digitized data, and growing network speed, this project aims to apply wireless sensor network to provide e-healthcare solutions. Dr. Mahmud’s external activities include discharging editorial responsibilities for prominent academic journals and organising important scientific conferences. Senior Member of the Institute of Electrical and Electronics Engineers (IEEE) and the Association for Computing Machinery (ACM). Member of the International Association of Engineers (IAENG), the European Cognition Network (euCogII and euCogIII) and the Convergent Science Network (CSN). Editorial board member of Cognitive Computation (Springer-Nature) and Big Data Analytics (BioMed Central, Springer-Nature). Guest editor of Cognitive Computation and IEEE Transactions on Emerging Topics in Computational Intelligence. Publicity chair of the 11th International Conference on Brain Informatics, December 7-9, 2018, Arlington, Texas, USA. Special Session chair of BI2018 (Texas, USA; Dec. 7-9), IEEE-EMBC 2015 (Milano, Italy; Aug. 25-29), IEEE CICARE 2015 (Cape Town, South Africa; Dec. 7-10), IEEE CICARE 2014 (Orlando, USA; Dec. 9-12), IEEE CICARE 2013 (Singapore; Apr. 15-19), ICONIP2012 (Doha, Qatar; Nov. 12-15). Track chair of IEEE MECBME 2018 (Neuroengineering track, Mar. 20-30), IEEE R10HTC 2017 (Healthcare and Biomedical Engineering track, Dec. 21-23), IEEE CICARE 2015 (All tracks, Dec. 7-10). Publication chair of BICS 2015 (Hefei, China; Dec. 11-13). Local organiser of CSN School on Neurotechniques at NeuroChip Lab of University of Padova, Italy (2011, 2014, 2015, and 2016 editions). International Advisory Committee member of ICEEICT 2018 (Dhaka, Bangladesh; Sept. 13-15), ICEEICT 2015 (Dhaka, Bangladesh; May 21-23), ICEEICT 2014 (Dhaka, Bangladesh; Apr. 10-12), E2IC2 2015 (Coimbatore, India; Dec. 18-19. PC member of ICTP - since 2015, ICONIP - since 2012, IEEE-CICARE - since 2013, BICS - since 2013. Steering Committee member of IEEE-CICARE 2016 (Athens, Greece; Dec. 06-09). Referee of computing journals including – Cognitive Computation, Frontiers in Computational Neuroscience, Frontiers in Neuroinformatics, IEEE Computational Intelligence Magazine, Journal of Health & Medical Informatics, Journal of Computer Methods and Programs in Biomedicine, Neuroinformatics, Journal of Software, IEEE Access, etc. Referee of life science journals including – Frontiers in Neuroscience, Giga Science Journal, Journal of Neuroscience Methods, Journal of Biomedical Signal Processing and Control, Journal of Bioprocessing & Biotechniques, MethodX, Scientific Reports, Neuroscience Letters, etc. Ramp (Euro 362k through FP7, ICT-2013.9.6 FET Proactive, 612058): A new biohybrid architecture of natural and artificial neurons endowed with plasticity properties was developed. Communication between artificial and natural worlds was established through new nano- and microtransducers to directly interface network of neurons in culture to an artificial CMOS-based counterpart. NeuroAct (Euro 948k through FP7, PEOPLE-2011-IAPP Marie-Curie Action, 286403): Novel tools and platforms were developed to advance current understanding of the molecular and microcircuit bases for nervous system (dys)function and perform high-throughput in-vitro drug screening. Realnet (Euro 643k through FP7, ICT-2009.8.8 FET Proactive, 270434): Specific imaging techniques to record from multiple neurons in the cerebellar network was developed. From the data, realistic real-time model of the cerebellum was obtained and connected to robotic systems under closed-loop conditions. Using "adaptable filter theory", sensori-motor control and cognitive systems were investigated. CyberRat (Euro 372k through FP7, ICT-2007.8.3 Bio-ICT convergence, 216528): An innovative brain-chip interface, with CMOS chip featuring a large-scale matrix of stimulation and recording microelectrodes integrated at high-spatial-density (~1000 sites at <10-micron separation), was developed. I was in-charge of processing and analysis of the data recorded from these chips. Euro ~57k from UNIPD, IT for the `Development of novel software tools to study neuronal populations Activity recorded using high-resolution multi-site neuronal probes' (03/2015-02/2017). Euro ~39k from UNIPD, IT for the `Use of capacitors and transistors for recording & stimulation of neuronal activity in the cortex and deep nuclei of rat brain' (01/2011-12/2012). Euro ~67k from Fondazione CARIPARO for `Developing novel neuronal signal processing and analysis tools' (01/2008-12/2010). Prof. Cristina Fasolato from University of Padova, Italy on characterization of a stable biomarker for early detection of Alzheimer’s disease. Prof. Roland Thewes from Technical University of Berlin, Germany on the development of microelectronic devices. Prof. Amir Hussain from University of Stirling, UK on the development of intelligent signal analysis tools for [e/m]Health applications. Prof. Michele Giugliano from the University of Antwerp, Belgium on the development of novel cloud based neuroinformatics tools. Prof. M. Shamim Kaiser (from IIT, Jahangirnagar University, Bangladesh on the development of low cost and wireless assistive/rehabilitation devices. Prof. M. Alamgir Hossain from Anglia Ruskin IT Research Institute, Anglia Ruskin University, UK on the development of novel portable device based decision support systems. R. Fontana, M. Agostini, E. Murana, M. Mahmud, M. Rubega, G. Sparacino, S. Vassanelli, C. Fasolato. (2017). Early Hippocampal Hyperexcitability in PS2APP Mice: Role of Mutant PS2 and AP. Neurobiol Aging, Vol. 50, pp. 64-76. Doi: 10.1016/j.neurobiolaging.2016.10.027. S. Vassanelli, M. Mahmud. (2016). Trends and Challenges in Neuroengineering: Towards ‘Intelligent’ Neuroprostheses through Brain-‘Brain Inspired Systems’ Communication. Front. Neurosci., Vol. 10, art. no. 438. Doi: 10.3389/fnins.2016.00438. M. Mahmud, S. Vassanelli. (2016). Processing and Analysis of Multichannel Extracellular Neuronal Signals: State-of-the-art and Challenges. Front. Neurosci., Vol.10, art. no. 248. Doi10.3389/fnins.2016.00248. M.S. Kaiser, Z. Chowdhury, S. Al Mamun, A. Hussain, M. Mahmud. (2016). A Neuro-Fuzzy Control System Based on Feature Extraction of Surface Electromyogram Signal for Solar-Powered Wheelchair. Cogn. Comput., Vol. 8, No. 5, pp. 946-954. Doi: 10.1007/s12559-016-9398-4. M. Mahmud, R. Pulizzi, E. Vasilaki, M. Giugliano. (2014). QSpike Tools: a Generic Framework for Parallel Batch Preprocessing of Extracellular Neuronal Signals Recorded by Substrate Microelectrode Arrays. Front. Neuroinfor., Vol. 8, art. no. 26. Doi: 10.3389/fninf.2014.00026. M. Mahmud, A. Bertoldo, et al. (2012). SigMate: A Matlab–Based Automated Tool for Extracellular Neuronal Signal Processing and Analysis. J. Neurosci. Methods, Vol. 207, No. 1, pp. 97-112. Doi: 10.1016/j.jneumeth.2012.03.009.